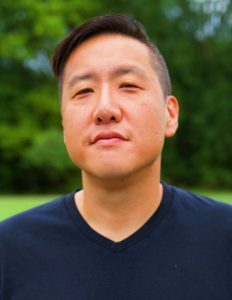 *Note from Joe Kim: In 2015, Christianity Today put out an article that was entitled “5 Asian-American Preachers Not Named Eugene Cho or Francis Chan…and a Couple Who Are”. I was pleasantly surprised to find an old friend, Dan Hyun, from my first Church back in Philadelphia listed in that group. Dan was one of the “older brothers” of the church group whom everyone looked up to when we were all together. When I reached out to him to do this interview, he almost immediately reminded me of why we all started looking up to him in the first place. He began to cite some of the articles I wrote and complimented me on how good he thought they were. I was surprised that he even knew about any of that stuff, especially given the fact that he clearly is the more accomplished Pastor and writer. But CS Lewis once said that truly humble people are those that take a real interest in you instead of themselves. God has used Pastor Dan to touch so many people. But all he wanted to do was talk about my work. When I hung up the phone with him, CS Lewis’ thoughts were the first thing that popped into my head. I really hope that Pastor Dan’s words are as blessing to you as that whole phone conversation was for me. Reformed Margins: You are a Korean American pastor who planted a church in Baltimore that is largely mixed in terms of ethnic background. Tell me a bit about how that came to be. What was it like being a Korean-American pastor trying to reach non Korean-Americans? Dan Hyun: The original driving force was a desire to be a church evangelistically welcoming to anyone. I affirm the current conversations of the sending nature of the missional church and that a church’s evangelistic efforts can’t only be trying to attract non-believers to come to us. But I also still believe in the powerful witness of the gathered church conveying the gospel message in word, deed, and community. Being part of primarily Asian American churches, I always felt inviting inviting non-Asian friends to worship to be a challenge, even if the church was excellent in all ways. I wanted to be part of a church community where anyone would be able to walk in off the street and feel like they could belong, regardless of cultural background. That was one of the reasons we started The Village with an intentional desire to be multicultural in our representative population. Much of this growth has been in my own life. As a Korean American pastor, I actually didn’t think I was all that Korean compared with others. Yet, the experience of starting the church revealed how Korean I really was, especially when I discovered frustrations about other cultures and their approach to spirituality. Particularly when we experienced a lot of challenges as a new church, I felt like some of our difficulties were because I was too different from most of the church. (In the beginning season of our church, my family and I were the only Asians in our community.) This difficulty and the stress involved worked to magnify all the differences and also served to reveal how I elevated values connected to my Korean ministry background. I was pretty arrogant and judgmental. There was also a lot of shame revealed. As much as I blamed others’ cultural baggage, I turned in on myself and felt that things were not going well because of me. I started believing that being Korean was a liability that had to be overcome. I’m sheepish to share this now but for our first few years, we didn’t even put my name or face on our church website. I didn’t want to be known as an Asian church, especially if that knowledge could be a liability in reaching others. God has been gracious in leading me to not only accept but embrace how He has made me for His own glory. Part of combating this shame has been to actively recognize that God is not building His church in spite of who I am but because of who I am – including being a Korean American. Our church’s non-Asians have been a wonderful source of encouragement in this regard. RM: Back in the 90’s the idea of planting multiethnic churches seemed really popular amongst church planters. The idea is less so today. Why do you think this is? DH: That’s an interesting question because at least from my perspective, I feel like many church planters I connect with desire to start a multiethnic church. I think the difference may be more awareness of some of the underlying issues that need to be addressed if this is going to be done well. I observe more sensitivity to avoid a colonial approach with a desire to plant a diverse church but that in the end just serves to propagate systems of Evangelical White supremacy rather than genuine faith communities committed to justice. This is probably most true of White planters who are trying to avoid a colorblind approach to church which I believe used to be more prevalent even in diverse worshipping communities. One context where there may be less interest in planting multiethnic churches is among some minority planters. I think there are many minorities who have been wounded in the name of diversity efforts in the evangelical church and are cautiously wary of such efforts, especially ones that are spearheaded by the majority culture. RM: What are some of things today that makes meaningful racial reconciliation so hard? And what are some strategies that you have used to overcome some of those obstacles? DH: Reconciliation is hard because it requires people dying to themselves. Unless someone’s a racist, most folks desire to be part of a diverse church community but don’t often recognize how deep their preferences lie in what they want in a church. So, as much as we look down on church cultures we feel breed consumeristic people, I think all of us are more consumeristic than we might acknowledge. We come to a church expecting it to be a certain way. That’s not a bad thing, especially when we’re talking about issues of orthodoxy. But most of us have preferences which are more deeply ingrained than we realize. When it comes to a church committed to reconciliation, then, it’s hard because people really have to come to grips with the understanding that not everything in the church will be to their ideal preference. I don’t think most have truly experienced the cost of not having things done your way in church. In the end, many walk away from these kinds of churches because they like the comfort that comes with homogeneity. In our context, along with the things listed above like greater education and training, we also try to speak very openly about these challenges but how that is also part of how we are made more like Christ. Our people embrace the fact that being part of a multicultural church requires dying to themselves as it points us to the way of our Savior. If done correctly, it forces us to our knees crying out to God as we learn that the only way we can die to ourselves is by walking with the Christ who gave himself. We’re learning that a reconciling church which calls people to die to themselves for the sake of God and others will be one of the most powerful ways to point people to the only hope we have in Jesus. RM: Where do you see multi-ethnic churches heading in the next 10 to 15 years? DH: I hope and believe that God will birth a growing movement of new multiethnic churches that learn from some of the mistakes of the past as well as the current challenges in our modern day evangelical climate. More than even church growth strategies, I pray that these churches will be missions of justice that start and grow communities of reconciliation. I believe for that to happen, it will require collaboration across all cultures but will specifically look like new multicultural churches led by minority leadership. I believe that a healthy multiethnic church planting movement will open the door for a new generation of vibrant church planters and pastors and that our current struggles are preparing us for this if we remain humbly prayerful. RM: What advice would you give to young pastors who are trying to prepare for a multi-ethnic ministry field? DH: Ask yourself who you journey through life with. If you don’t live a multiethnic life now, it’s not reasonable to expect that starting a church will lead to that. Educate yourself on issues that people of other cultures wrestle with as part of their normal journey. Too many pastors want a diverse church community but haven’t put in the time to learn about diverse cultures. Submit under the leadership of those of a different culture than you. Especially if you’ve never been part of a multicultural church, it can be arrogant to think you will be the one to start that in your own church. If you have the freedom in life, I highly encourage putting yourself in the kind of church you’d like to one day start and learn in humility, even if you don’t have a formal position or salary. One really practical thing: listen to a diverse group of preachers. Successful multicultural churches require a lot of factors but one thing that’s probably not talked about enough is the preaching. Even good preachers are not always adept at crossing cultures and in my observation this is a significant reason why some churches who have a genuine desire to minister across cultures ultimately struggle to do so. Have a developmental plan to grow in preaching cross-culturally. I think that a part of that includes listening to a wide diversity of preaching approaches and styles. Pray. I know it sounds so trite but pray for God to give you a multiethnic vision for His Kingdom. Otherwise, it can easily just be engaging in something that’s the flavor of the month. Youth Night – Water Games!